The 1995 Judgment, where Justice Varma opined that the word ‘Hindutva’, “is used and understood as a synonym of ‘Indianisation’, i.e. development of uniform culture by obliterating the differences between all the cultures coexisting in the country.” This came to be known as ‘Hindutva as a way of life’, judgment and became popular as ‘Hindutva judgment’, was used by RSS combine to reinforce their Hindu rashtra agenda. In Guruvayoor temple case again similar opinion was given. Also one recalls that way back in 1966 in a case involving Satsangis, who were asking for status of a separate religion, the court had given the similar opinion, that Hinduism is a way of life, so where is the question of Satsangis being given the status of a separate religion? This does not exhaust the list of such judgments in this category. Hinduism is the most complex umbrella where interpretations are dominated by the caste factors. Ambedkar does point out that Hinduism is a Brahmanic theology. Other streams of Hinduism. Nath Tantra, Bhakti etc. have been marginalized and undermined and it’s around Brahmanical hierarchy that Hindutva movement has emerged. It’s clear that Hinduism is not the religion of all the Indians. Also that Hinduva has been built around Brahmanical stream of Hinduism. This complex understanding needs to be unraveled before opining on the Representation of People’s Act. In S. R. Bommai case the court the Supreme Court recognized the value of this understanding of terms Hinduism-Hindutva. Justice B.P. Jeevan Reddy wrote, “To fight elections on a plank of religion, was tantamount to eroding the country’s secular fabric.” But, barely a year later, this was subverted when India’s secular credentials came to be undermined with the rulings known as ‘Hindutva cases’. The foundation of this understanding is already there in what Dr. Ambedkar writes, B.R. 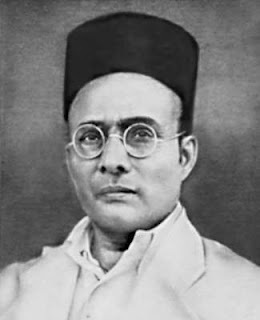 Ambedkar, who played a sterling role in the RPA’s drafting; his aim was to ensure that the statute conformed to secular principles. “I think that elections ought to be conducted on issues which have nothing to do with… religion or culture,”. Further that “A political party should not be permitted to appeal to any emotion which is aroused by reason of something which has nothing to do with the daily affairs of the people.” This is the spirit of Indian Constitution which wants to separate religion from politics.